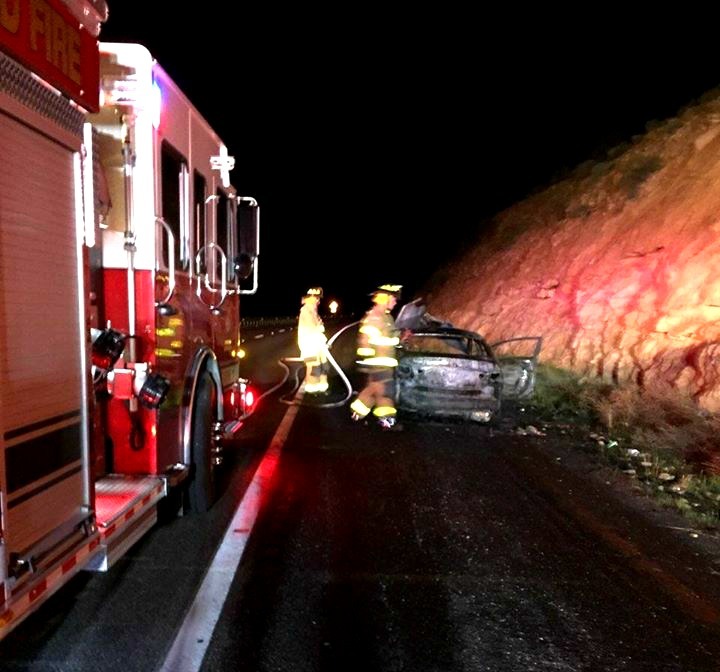 ST. GEORGE — A vehicle fire reported a few miles south of St. George on Interstate 15 in the Virgin River Gorge in Arizona early Sunday morning was extinguished before it had a chance to spread, thanks to cooperation between two fire departments. 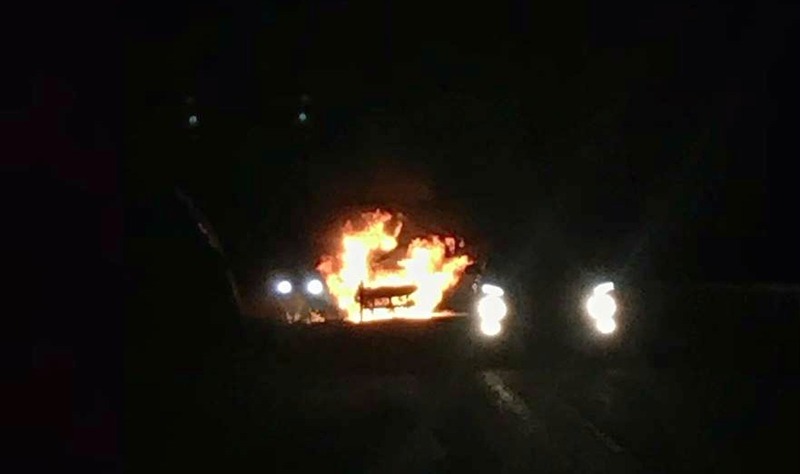 At 3:15 a.m. MST emergency crews responded to the fire on northbound I-15 near mile marker 25 after multiple calls to 911 reported that a passenger car was fully engulfed in flames, said Ryan Moore, firefighter and paramedic with Beaver Dam/Littlefield Fire District. Fire crews from both departments joined forces and were able to quickly extinguish the blaze before it had a chance to spread to nearby brush and vegetation. The cause of the blaze was possibly electrical, according to one of the reporting parties who called 911, Moore said, adding the exact cause is still under investigation. Moore also commented on the benefit of the automatic mutual aid agreements that exist between states, jurisdictions and departments, like the agreement Beaver Dam/Littlefield Fire District has with St. George Fire Department. “(Mutual aid) allows us to cross state and county jurisdictional lines to get additional resources to those in need faster,” he said. The vehicle was a total loss and was later towed from the roadway. No injuries were reported. The Arizona Department of Public Safety Highway Patrol Division also responded to the blaze.